Planning your next family vacation? Look no further than your own backyard! The Radiant Metric Pool gives you the versatility to design a backyard oasis that fits your style and budget! When you choose an incredible Radiant Metric Pool for your backyard, you will be swimming, entertaining and relaxing before you know it! 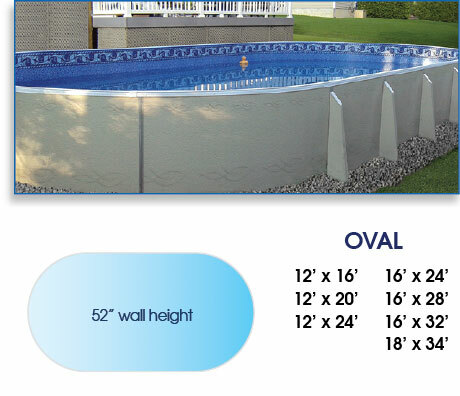 If you think all above ground pools are created equal – Think again! 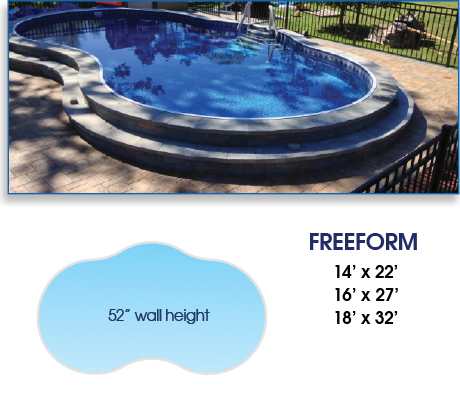 Radiant Metric Pools come in 3 exciting shapes for you to choose from, including the unique Freeform pool. 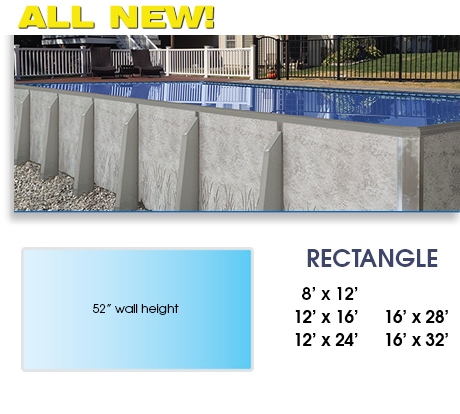 Explore your options for liner and wall pattern design to customize the look of your pool! Radiant Metric Series Pools offer a NON-PRORATED, FULLY TRANSFERABLE LIFETIME WARRANTY against manufacturing defects for as long as you own your pool. If a Radiant Pool owner should sell their pool, whether directly or through the sale of their home, the new owner is issued their own lifetime warranty certificate. You can also call or visit any of our 3 store locations to talk to a Radiant Metric Pool Specialist - click here for store locations, hours and phone numbers. Our friendly Specialists will discuss the various pool sizes with you, pool options and accessories, as well as answer questions you may have for them. We've been helping home owners with the purchase, installation, and maintenance of their pools since 1989, and we would love to welcome you to our family of happy pool owners! Please note that we are open year-round, and highly encourage you to speak with one of our Specialists during the winter and spring months so that you can enjoy your new pool all summer. *$133 per month pricing details as follows: Round 16' Radiant pool plus typical installation charges (pool package installed pricing) for a total price of $7,955, financed at 0% interest for 60 months (5 years), equals 60 monthly payments of $132.60. 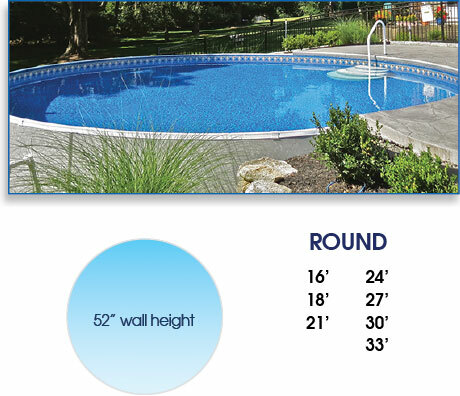 This pricing is to be used only as a reference to understand what the monthly financed price might be for financing your pool purchase, to those who qualify. E-Z Test Pool Supplies does not offer direct financing, but will help you understand financing options through financial institutions that we can recommend to help you obtain the financing for your pool purchase. The "Pool Package Installed" pricing is used as a reference, and includes everything you need to get your pool up and running (pool, pump, chemicals, and more), plus installation. Contact us to get a complete list of the current items included in this package.